By: Phelisha A. Mindy, Howard U. 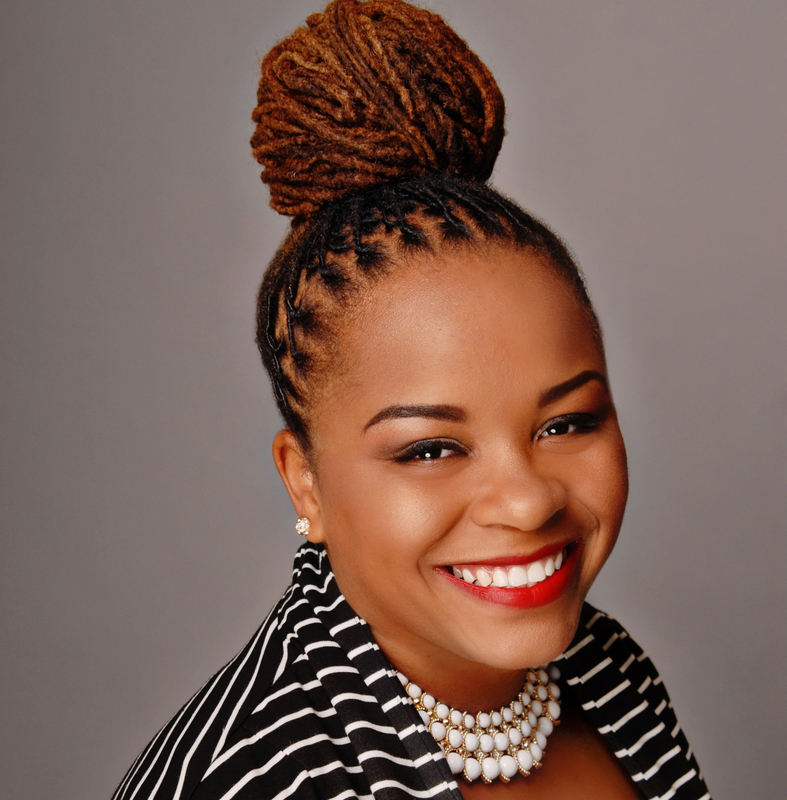 A rising senior at Howard University, Phelisha A. Mindy is a double major in economics and sociology. She is co-coordinator of Howard’s ASB-Haiti. Last year she interned with Northwestern Mutual Head Corporation in Milwaukee. This summer she has an internship in Paris, France with the US Embassy working in the European Affairs Bureau. She will assume the presidency of Howard’s Haitian Student Association for the 2012-2013 academic school year. Howard University caught my attention after reading about its history. The university’s academic offerings and dynamic culture even further intrigued me. During my first visit, I fell in love with Howard’s atmosphere. I knew it was right for me and I began my journey at Howard soon after. I got involved with Alternative Spring Break (ASB), last school year. ASB is a student organization that plans service trips to various locations (Detroit, Chicago, New Orleans, DC, Atlanta, and Haiti) for students during their spring breaks. My service with ASB began a journey that changed my life. My first year with ASB, we went on a mission trip to Haiti. Because I’m of Haitian descent, I felt I had a duty and opportunity to fulfill a promise to my parents’ homeland. I had family members who were affected and killed by the earthquake. In its aftermath, I found myself crying as I thought of Haiti; a country rich in history, strength and courage was now facing insurmountable challenges. When I first learned of the opportunity to apply for ASB-Haiti, I completed the application, three 500 word essays, and a received a letter of recommendation from a professor –all in less than 12 hours before the deadline. Out of an applicant pool of eighty students, I, along with twenty-two other students were selected for the opportunity. Upon my arrival in Haiti, I saw the struggles the Haitian people endured daily. It changed my life perspective. I began to compare myself to the Haitian people. I understood if they could live day-to-day with a smile on their face, I could more than do the same. Photograph by Kerry-Ann Hamilton/Marquis Gibson and Phelisha Midy, ASB-Haiti co-coordinators, work on foundation for the Microfinance Bank being built by the Haitian American Caucus in Croix Des Bouquets, Haiti. Before participating in ASB, I was shy and very timid. I rarely took leadership roles, seldom spoke my mind and had little concept of world issues. Due to my participation in ASB-Haiti, and with the help of my ASB-Haiti family, I learned to take leadership roles, voice my opinion and I now take an active part in the world around me. As a result of my service in Haiti, I learned how to voice my opinion and organize my priorities. I grew as an individual. I learned to focus on what truly matters in life. I am extremely glad I decided to be part of Howard’s proud legacy. But being at a place as grand as Howard is not enough to guarantee advancement; if you are eager to advance, you have to step outside your comfort zone. If you’re lucky, you will find people like those at Howard who will help you. This year I had the pleasure of coordinating the Alternative Spring Break trip to Haiti. This opportunity made the service project mean more to me. I put my heart the project, and along with Marquis Gibson, I focused on planning meaningful and impactful service activities that would help the Haitian people form an independent and sustainable environment. 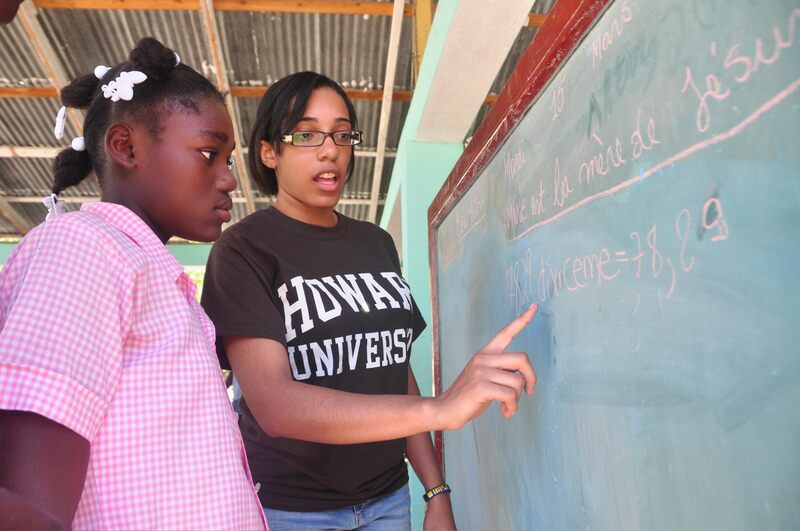 Howard-ASB provided an opportunity for me to give back to Haiti. 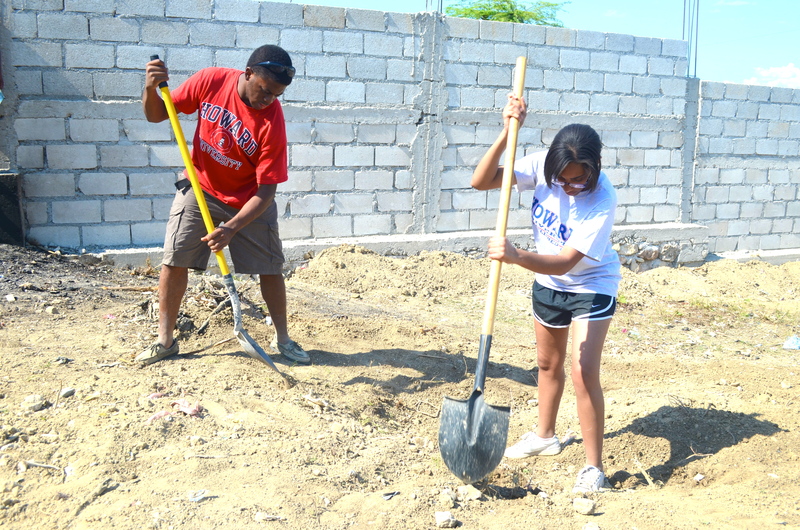 The people were excited to see African Americans invested in the rebuilding of Haiti. I now realize I am a bridge between the Haitian past and its future, a future brighter because of the willingness of others to serve.